Access is only through Main gate. Continue through main gate about 100 yards to Atlantic Street and turn right onto Atlantic. Continue about 1/4 mile just past the commissary to Purple Heart Street and turn right. Continue another 1/4 mile to T in road and this will be Perimeter Road and turn left. Go another 1.5 miles to campground on left. Payment is made by cash or check at drop box at campground. 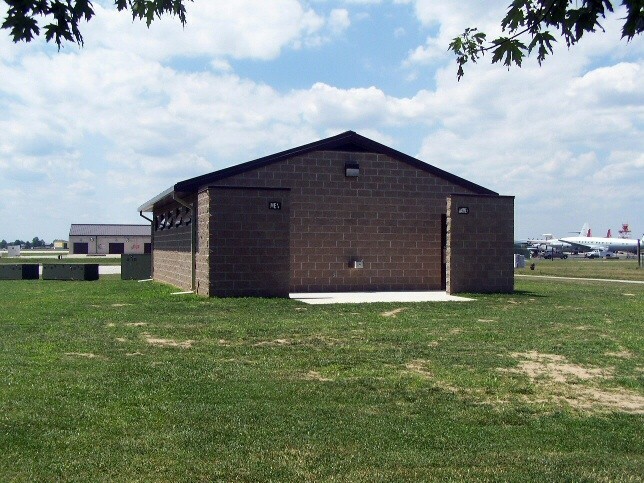 Credit card payment made at outdoor recreation, Bldg 475, 477 Chevron St.
Reservations are accepted up to 90 days in advance of the occupancy date by calling Outdoor Recreation, 302-677-3959. Office hours 0900-1700 Mon-Fri, plus 0800-1300 on Sat (Apr-Sept). Closed Sundays and holidays. Payment must be made by credit card for the total number of days reserved. No refund for cancelled reservations. 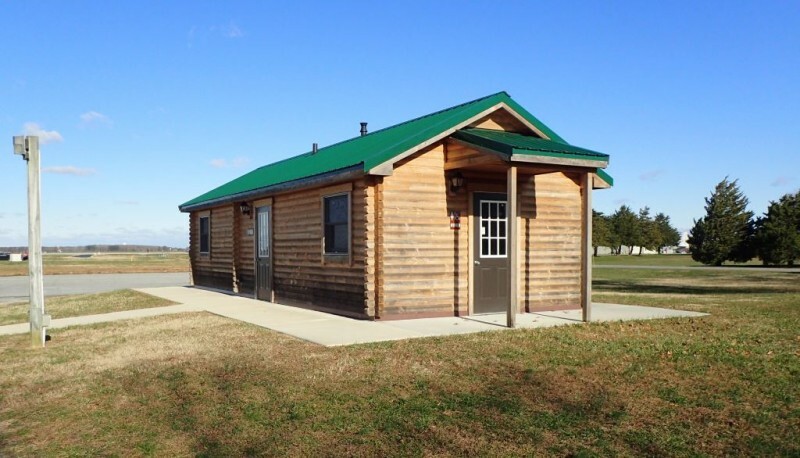 FamCamp users can stop by the Base Post Office to establish General Delivery. Pets are allowed but can't be left alone. When outside of your RV, they must be on a 6' or less leash. Normal clean-up rules apply. 14 day maximum stay. Dump station is $3 if you're not registered in a site. Dump is adjacent to the campground. Lower rate is if you share utilities with your neighbor (with their permission). Guests are charged a slightly higher rate. Beautiful campground in a good location. Found a site here with no problem on a warm winter weekend. Looked like only one RV staying there long term on the 10 sites, but there was evidence that homesteading occurs there. Not sure why someone said it was nice and quiet. Although there was no campground noise, the highway noise is pretty loud and the airfield and Aero Club are close by. No jet planes so it's not that bad compared to Oceana. It was very clean and easy to get around, but there are no trees and it must be very hot and sunny in the summer. Got a few mosquitoes in Dec so I can't imagine what it is like in the summer. Visited John Dickinson Plantation and went birding at the refuges (20-30 minutes away). Delaware beaches are about an hour away. It's a good stopover if you need to be in the Dover area. Nice playground right across the street and the kids enjoyed the little planes at the Aero Club. Had a great weekend overall. We were set up in a spot that was near the playground and walking trail, rode bikes, went to Rehobeth and Bethany Beaches. Had more success with the HD TV than before. Camped here for 5 nights. When we arrived we found our spot and settled in. Went to cook only to find the BBQ grill in horrible condition. We had to clean it out to be useable. Washer and dryer are brand new but for 10 spots there is only 1 washer and 1 dryer. Although the campground advertises 50amp service it really isn’t. Our first night everything was fine, but shortly after we woke up we began experiencing power issues. Our first connection to the 50amp circuit was fine with both legs showed 120-125. In the morning the surge protector started tripping for low voltage on both legs. We are now operating on 30amp service. If we try to use both ACs or an AC and the hot water heater we trip the surge protector. Of course it’s sunday and no one to call but even if their was other campers on site have told us that the facility is unwilling to do anything. We like it here. Nice and quiet but without the power we paid for, what’s the point. We should not be charged full price without getting what’s advertised. Full of long term campers. Talked to MWR prior to visit - they stated that they only collected the payment envelopes and did not monitor or enforce 14 day stay policy. 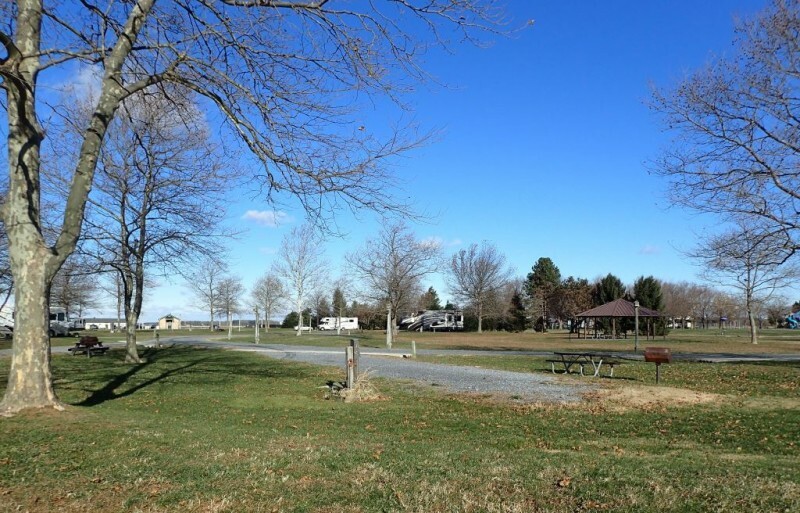 Nice site, but appears to have mostly long term campers and only 10 campsites. 5 overflow or dry campsites are somewhere, but location not on map or identified. No one to call and ask on weekend. 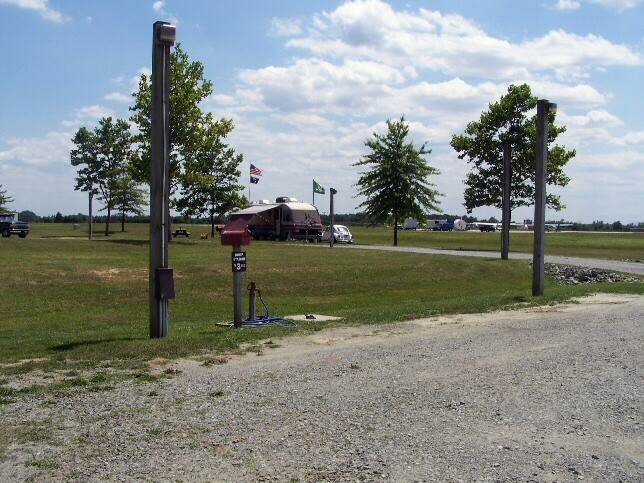 Good news is they now have FHU at all 10 of the RV sites. Bad news is most of the sites (8) are occupied by long term residence. All sites were occupied when we arrived. We called the office and we were advised to set up in the grassy area around the perimeter which we did for 2 nights. Two of the sites opened up on Sunday so we quickly packed up and slid into #3. Never did find the other 5 sites reportedly available for dry camping... Overall our stay was pleasant. Plan on staying up until 2200 hrs weekdays as "Big Mike" (PA System) plays "Taps" and it WILL wake you up! We stayed here in a my 5th wheel. All or most of the FHU spaces were claimed by long term residents. Several appeared to be workers on the runway re-construction. There were no showers or laundry facility & no WiFi. Verizon was 5 bars though. The grounds seem cared for. Good spot for an overnight if transiting the delmarva peninsula. There are three gates North, Main, and Commercial; north to south. 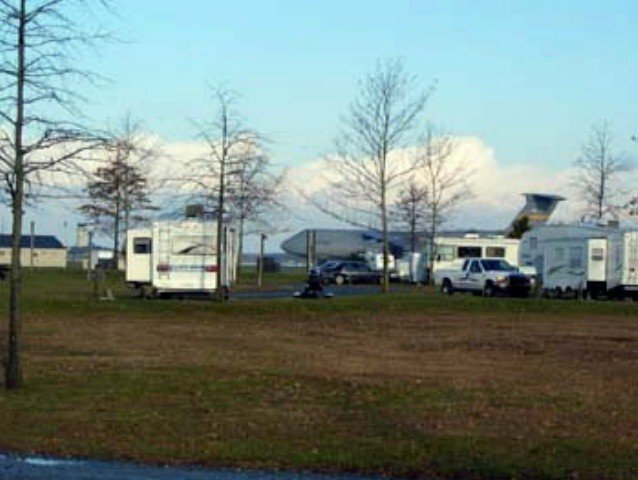 The North gate was not open on the weekend but we came in that gate on Friday with our 25' motorhome. I would not see a problem with a larger one. On Saturday, when we left base and reentered through the Main Gate, Base police had me back up from the left entry point (the only one of the three open when we pulled up) and enter through the right gate which they opened for me. They felt that our RV might hit the security camera which was mounted about 9-10' above ground level. Better safe than sorry. Access through the Commercial gate is not permitted for RV's. Directions to the FamCamp can be followed from either the North or Main Gate; add half a mile if you enter through the North gate. At the entrance to the campground we filled out the registration slip and put it with our check in an envelope provided and dropped it in the box. We only went to Outdoor Rec to get propane (around the back/north side of the building. You will have to call them for directions. We never found a good base map. The one on line is fuzzy. There is a visitor center at the Main Gate. Their map is fuzzy too. Use written and oral directions supplemented with Google Earth. No laundromat on base but there is a nice one just north of the North gate on Highway 1. Large commissary and BX are available and easy to find. The gas station Express did not have diesel, but had a complete Class VI. Overall, the FamCamp is nothing fancy. Just a place the spend a night or two if passing through. Some sites have sewer hookup. Ours did not but the dump station is easily accessible and below ground level so dumping is easy. We had a picnic table. There is no shower or bathroom in the FamCamp. Across the street from the FamCamp is an Air Museum. You can see the planes on display through the chain link fence but they are not accessible from inside the Base. You have go to out the Main Gate, south on Highway One and turn left onto Highway 9. 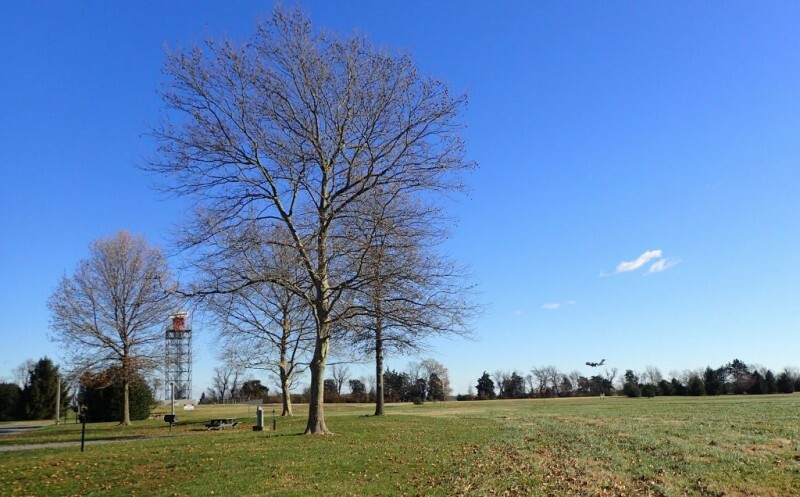 You literally drive around the south end of the airstrip and enter the museum grounds from off base. Overall a nice stop. No wifi, no cable, no sewer. 3 PBS channels on the over the air TV. But for a 1 night stop in while headed south down the eastern shore, it was good. 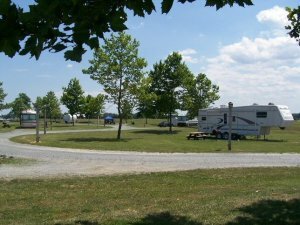 Just 10 sites at this small campground, sites 1-3 no sewer. No WIFI, no cable and no bathrooms at campground. There is a nice park across the road that has bathrooms which were nice and clean, well stocked. Check-in at the Outdoor Rec Center, we never saw anyone come by to check on campers or to see if rules were being followed. With the amount of dog feces in the grassy areas and loud barking dog it was obvious some folks just did not care. Campground is next to flight line and did get pretty noisy at times but the loudest part of the day was the playing of Taps at 2200. Small base but did have an exchange and commissary as well as gas station that had diesel. Sprint cell service was OK and had 4 TV channels on ant.. Dover Downs casino just 8 miles away. This place was good value for the location but could use some adult supervision at some point. We have stayed here before, it is a lovely Fam Camp, large spaces, right on the runway to watch the C130's do touch and goes, but the limited spaces are now taken by semi-permanent residents. According to one of the residents there is usually never spaces available. We saw 1 tent which I assumed would be gone by winter and there was 1 other transient camper. There was a motorhome and ourselves who pulled in on to a grassy area late in the afternoon. We were told that normally we would have been asked to leave if there was no spaces available but because we were only staying 10 hours we were not asked to leave. 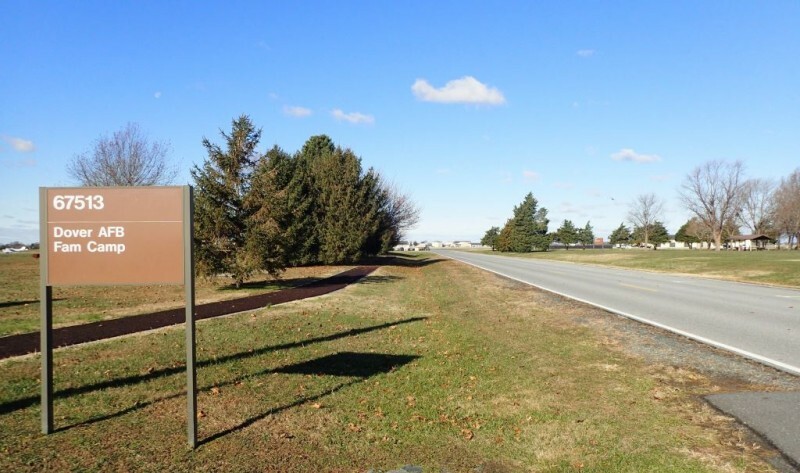 If you have headed down Route #13 in Delaware you know that there is not much there and probably not a campground for many many miles. 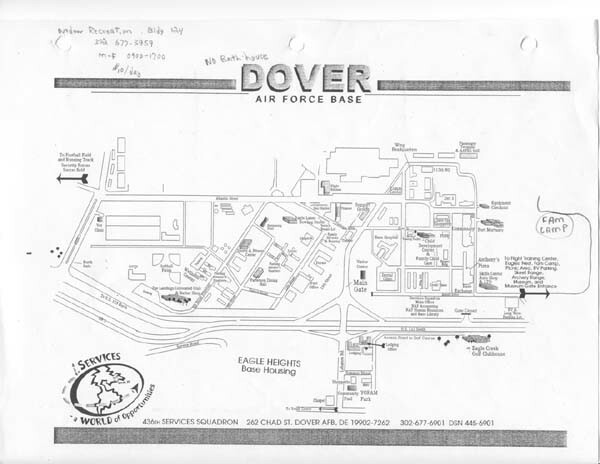 Dover AFB should at least have an overflow lot to park in, instead of sending people down the road. Better idea, there is lots of room, expand the Fam Camp and reserve X amount of spaces for transients. Stopped for one night on trip from VA to MA. Good stop over location but space is limited and some campers appear to have been here for lengthy stays. Grass overall was well maintained however it appeared that the site we stayed in had just been vacated after a lengthy stay by the previous camper...grass was over a foot tall in places and completely obscured the sewer hook-up. Trash around the site from the previous camper. 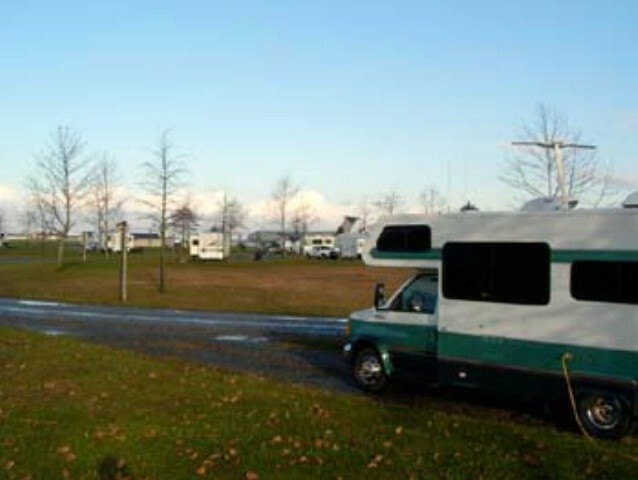 Pleasant RV experience and good location to drive to the beach cities about 35 miles south. Very spacious parking. No bath house, no internet. Only bad experience was at the base library. In all the years we have been traveling, this base has the distinction of being the ONLY location that would not extend the courtesy to a retired military member, of a temporary card to allow checking out of books or dvds. In my younger days I would have found my way to the base commander or services commander's office and let him/her know of my disappointment. At this age I'm really starting to not give a damn and prefer not to embarrass myself. Career officers and NCOs rarely realize that they will all be retired one day. 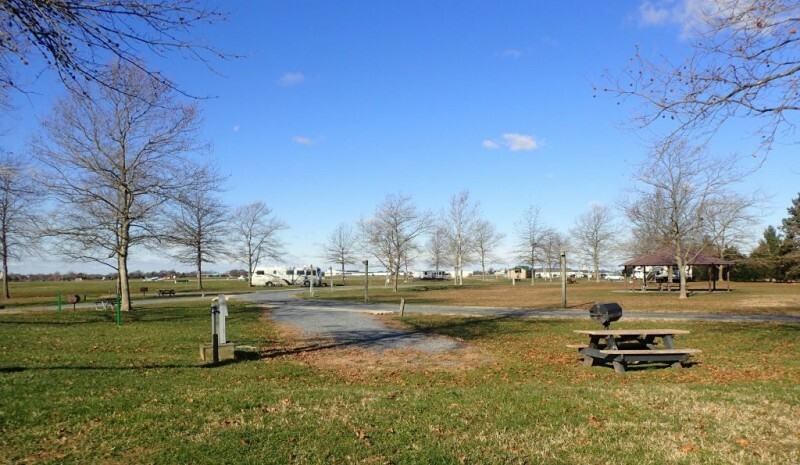 Dover’s RV park has been identified by others as a good stopover place, but not a destination. I agree with that assessment. 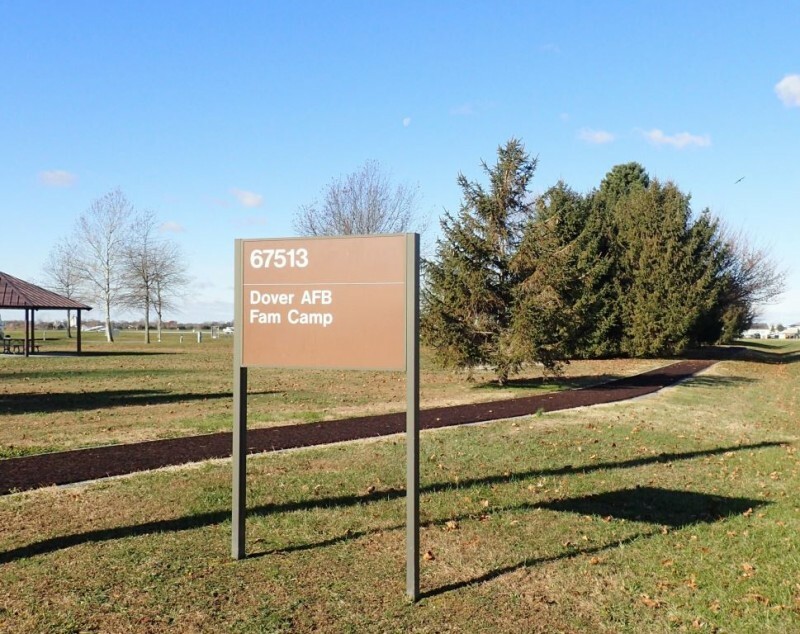 It’s a nice park, but there isn’t much going on in the Dover area that is going to capture your attention for more than a day or two. With that thought in mind here is a brief list of positives and negatives. POSITIVE: Small and uncrowded. They don’t take reservations and you won’t need one. Airlift museum, accessible fm Rt 9 just south of the base is right next door. If you like big airplanes Dover has lots of them coming and going. This is home station for many C5’s and C17’s. Dover Downs NASCAR track is just up the road. If you want a space during race week you better get here early. All base facilities are within a mile or so. 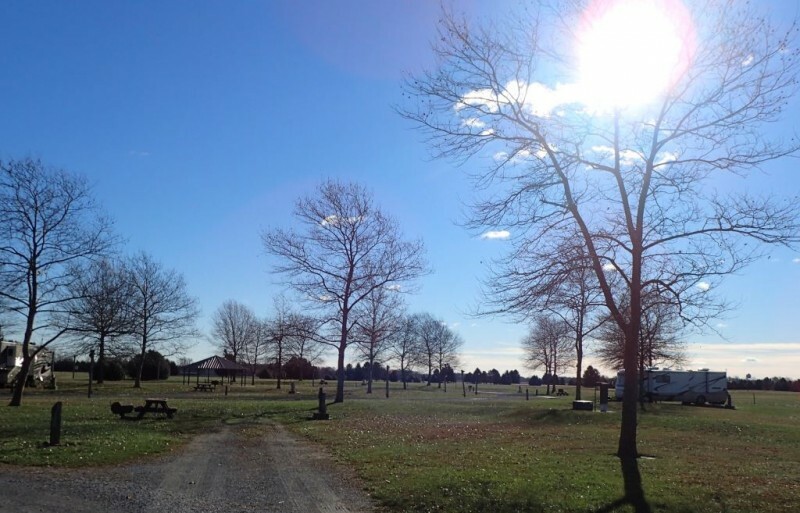 A 1.5 mile running / jogging trail starts and ends at the park. Bombay Hook National Wildlife Refuge is up Rt 9 about 15 miles. The goose population during fall migration is something to behold. DO NOT MISS Sambo’s restaurant in the tiny little town of Leipsic. It’s also up Rt 9 just south of Bombay Hook. It is arguably the best seafood restaurant on the planet. Hard to beat the parks nightly rate of $18. Revolutionary War history abounds in downtown Dover. Many of the state capitol buildings date back to the early 1600s. Especially on “The Green”. 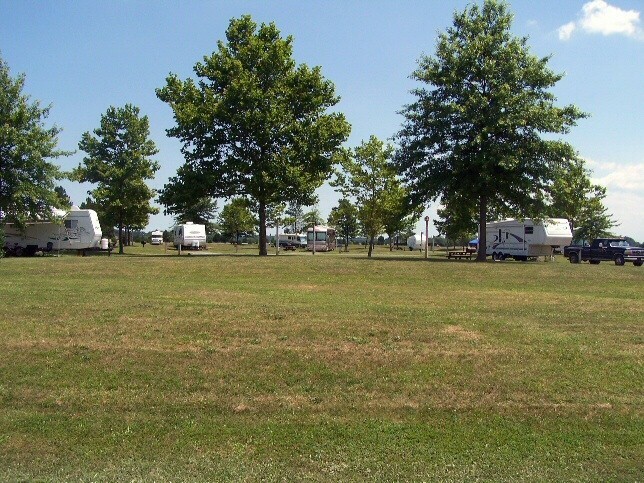 The RV park can handle the largest rigs with utter ease. 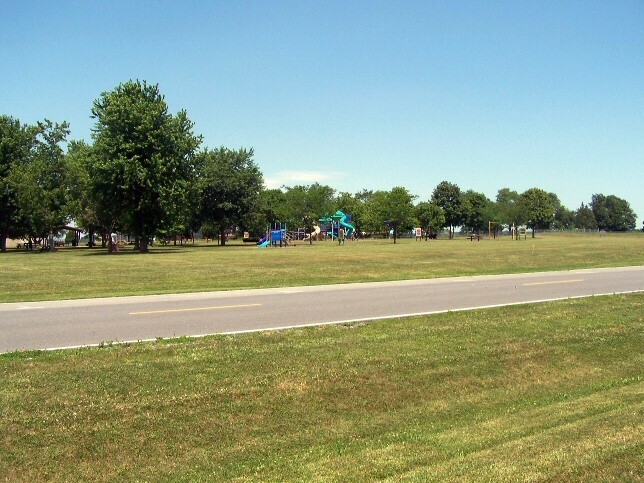 There is a large picnic ground adjacent to the park. Lots of playground equipment for the kids too. NEGATIVES: Noisy whether you like airplanes or not. 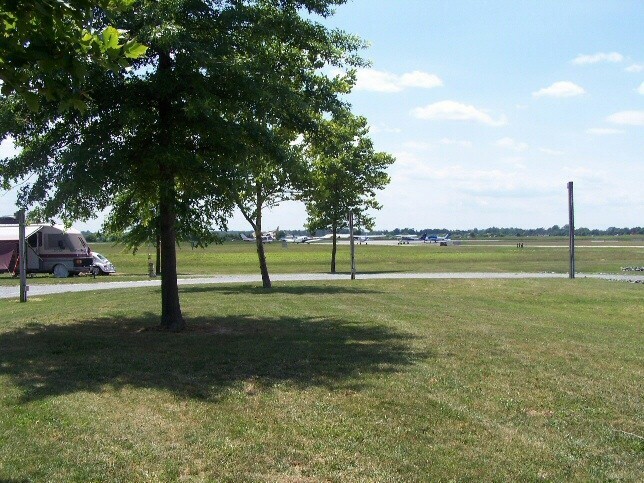 The park is close to both runways. Trees but little shade. They were sighted wrong when planted. Flatter than a pool table. The base is just a mile or so from Delaware Bay. Don’t get excited about that. There are no beaches just lotsa mud and marsh. Some of the spots are taken by active duty homesteaders. If it’s hot out it will be really hot at the park. If it’s cold - you get the picture. Stayed here 4 nights while visiting old friends in the area. Great location, but a bit remote from base amenities. Nice layout of parking spots, plenty of space between neighbors. 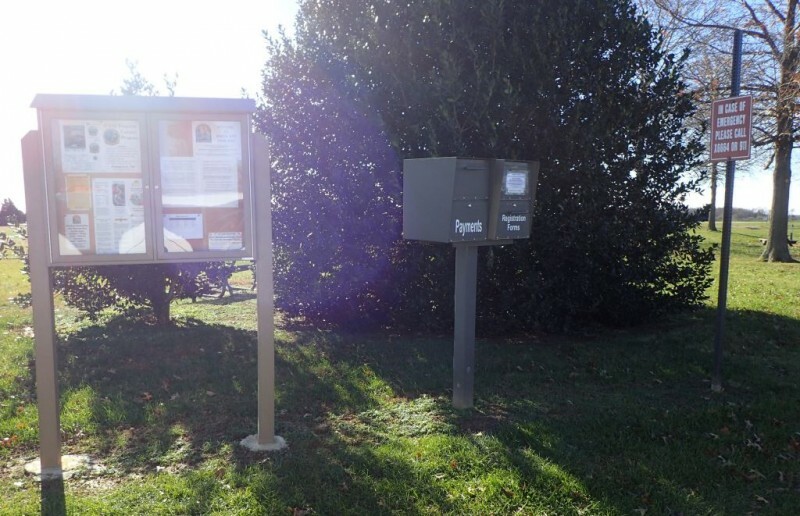 Despite staying 4 days I was unable to reach a real person on the phone, so I used the convenient payment drop-box located at the park entrance. All in all, a pleasant experience. Would stay here again. R.L. left this review using the Directory software: - We absolutely loved it here. The green space all around, just the right amount of trees, extremely large well spaced sites, the park and walking path, just great! Fun to watch the planes, which for the most part were quiet at night. Outside of the base museum and the Dickinson Plantation just down the road there's not a lot of "tourist" activities but shopping for just about anything is pretty convenient. Will look forward to coming back. L.H. left this review using the Directory software: - Nice FamCamp for stopping over for a few days. base facilities are very good. This is a great stop-over spot for us heading south. Folks are very friendly and helpful. 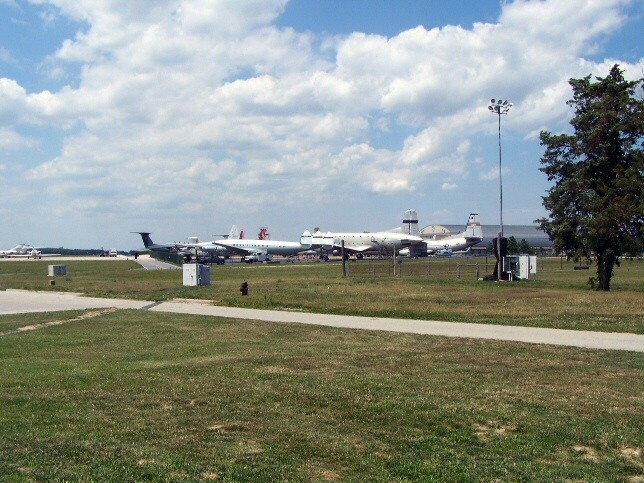 Watching the aircraft come and go was great entertainment....most of us retired Navy folks didn't have the opportunity to see those huge C5's come and go. The only problem I had at the base was locating internet access. 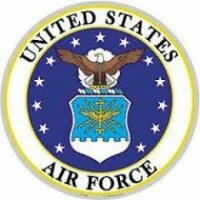 Seems as all the spots on the base have been shut down. After some exploring, I found free internet at the Landing Club building at the Grotto Pizza. J.K. left this review using the Directory software: Very nice location with limited spaces.